We’ve progressed well with our Ecommerce Masterclass and will soon be launching our very own ecommerce store using the Shopify system. We’ve now been working on setting up our Shopify store ready for launch next week and an important element of setting up an ecommerce website for most startups is finding a theme to use. 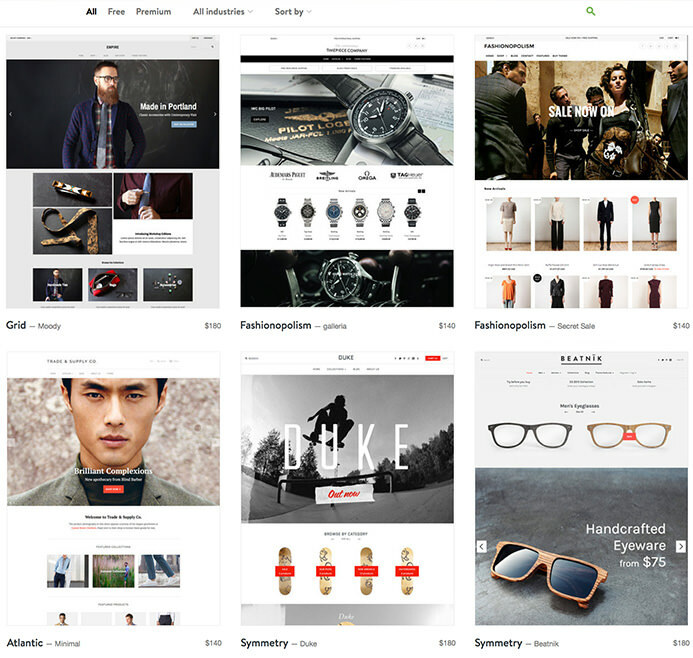 A theme on Shopify is basically a premade template that you can purchase and use as your own storefront. Some themes are free but many are paid and give stores a professional look and feel that suits their business from the get go. What we really love about the themestore and why startups especially love it too is that there’s an abundance of good themes to pick from aimed at almost every industry. This is especially true because Shopify are very stringent on the themes they feature so nearly all are extremely well designed. From food and drink to electronics to fashion, there’s themes designed for every business. Using a theme also gives businesses a quick route to launch, by taking a theme as it is and using it as there own, storeowners are able to launch there online shop very quickly and start selling straight away. Once we found our theme and as we find with many clients we work with, in many cases they need a little customisation. With themes built as a generic starting point for stores, shop owners regularly want the theme to be a little more personalised to there business or have features added. As all Shopify themes follow a somewhat similar structure customisations can easily be made to most themes. To really get into customising a theme (beyond its colours and fonts) means jumping into the code so if you’ve found a theme that’s a great starting point for your store but need customising we recommend leaving it to the experts to make sure its done properly. If you need your theme customised just give us a shout on our contact us page and we can happily support you. NO THEME CATCHING YOUR EYE? If there’s no theme that’s catching your eye then there’s always the option of having a custom theme developed just for your business. This takes a while longer to complete but the end result is a unique theme perfectly matched to your business. As we’ve only given ourselves 3 weeks to launch our store building a custom theme was out of the question but is never the less an option for stores with a bigger budget a more time. Now we have our theme fully installed we’ll continue to customise it over the next few days as well as setting up the backend of Shopify ready to launch next week! Make sure you read the previous posts in the series to follow our progress.